At work we joke a lot about the 50 meter knife fight. It’s more of a pseudonym of sorts for for what we call pop-up targets or brush fires (small work emergencies). On rifle ranges the closest pop-up target we have is 50 meters away and its easy to hit. Whereas the furthest is 300 meters and a lot harder to hit. In a perfect world you could knock down all your targets at the 300 meter range and everything would be gravy. But as life would have it things come in as a surprise and a lot closer than we want for comfort- these are significant emotional events. Sometimes they get so close you have to put your rifle down- then you reach for your knife. That’s close range close work. So next time your boss drops an emergency on you with a deadline of yesterday- you’ll understand what the 50 meter knife fight really means. 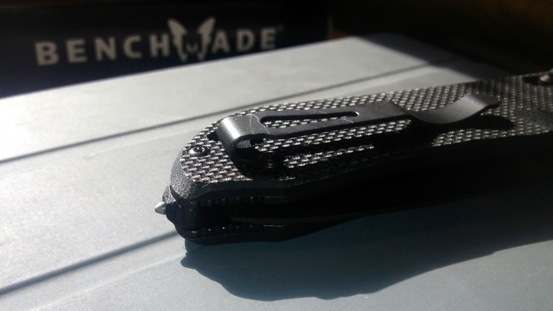 This brings me to the Benchmade “916 Triage“. The last two weeks I’ve felt naked at the office. A little while back my last field knife gave up the ghost on me. Basically, it dropped and fell apart. Since then its been missing on my person and I’ve really felt unarmed. A soldier isn’t a solider without a good field knife. You never know when you’ll need one for life’s little surprises. Today I was able to drop a little coin and pick up this sweet little piece of work by Benchmade they call the 916 Triage. As a soldier I’m picky with my tools. I’m as equally particular when it comes to being an angler. I like multipurpose functionality with everything I carry. 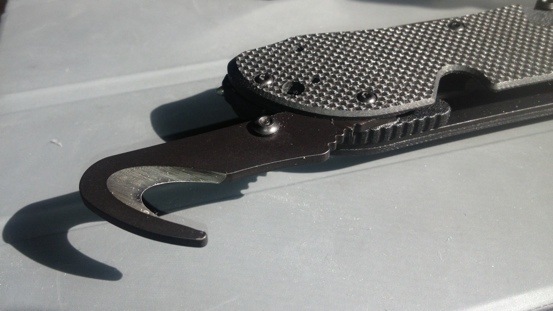 The Triage features a flat tip blade for prying in addition to a serrated edge. It one hand opens easy with very smooth action and feels solid. 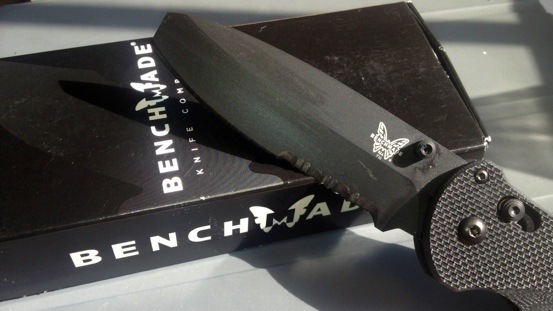 This is just one of those knives I want to carry on and off duty; in the office or on the water. I’m looking forward to problem solving life’s little significant emotional events with this thing. So tell me, what’s your carry all the time tool?